There were plenty of question marks last season about who was going to play at the QB spot for the Tennessee Titans in 2012. That question went away it seemed after the team picked up former Seattle Seahawks QB Matt Hasselbeck, who surprised many be leading the team to a fast start, and then getting the team in a spot to make the postseason before fading at the end. The play of Hasselbeck forced 2011 first-round pick Jake Locker to spend a majority of his rookie season behind the veteran. Now, it is a year later, and it’s time to see what Locker can do. Hasselbeck was signed to a three-year contract to help bridge the gap and mentor Locker, and in 2012, it’s time for him to take the role of mentor more than player. Make no mistake, Hasselbeck can still have a huge impact on the Titans, but it needs to come from being a teacher, something that doesn’t usually go smoothly in the NFL, more so at the QB spot. Munchak stated as well that the team didn’t take Locker with the intent for him to “sit around for a year or two” learning under a veteran. If that is true, than Locker starting the year under center makes the most sense for the franchise moving forward. Locker played in five games last season, throwing four TD’s and no picks, and for the most part played well when Hasselbeck was hurt. Teams these days don’t draft QB’s in the first round and let them sit too long. It’s just the nature of the beast. Hasselbeck started all 16 games last season, and while he started hot, he faded late. He completed 61.6 percent of 518 pass attempts for 3,571 yards with 18 touchdowns and 14 interceptions. 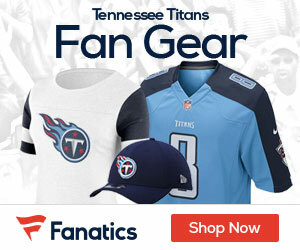 It was a good pickup for the Titans to get Hasselbeck, but it’s time to go young, allow Locker to get in there and strut his stuff, and for the Titans to start to look to the future. If Locker fails, you have Hasselbeck on the bench able to come in at a moments notice. In the end though, this has got to be Locker’s team, and it needs to start in 2012. 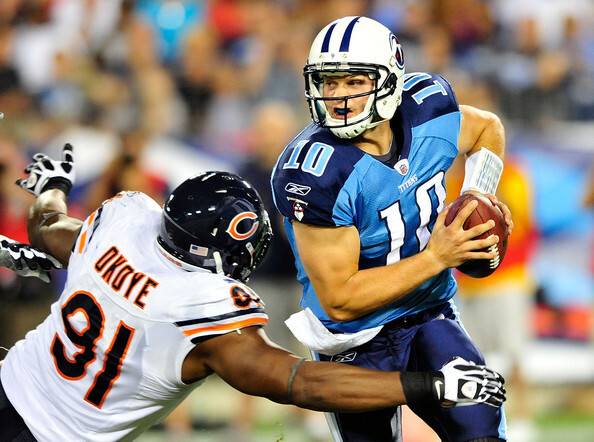 Do you think Jake Locker Should be the Starter in 2012? Or Matt Hasselbeck? Leave a Comment With Your Thoughts! No, if the Oilers were serious about shedding their long and shameful legacy of failure and disappointment, they would be looking to sign Peyton Manning right now. You think he wouldn’t jump at the chance to play in Nashville? But no way on that, huh? Look for more perennial, endless mediocrity from the OilerTitans in 2012! Yes, every opprotunity he was given last year he was successful in. I think the organization has a fair and open QB competition in camp. Matt is a good QB and was a good pick-up last off-season, but he maybe has a couple of good years left. Jake should earn the starting role and we DO NOT need another “baptism by fire” like we had with the last #10 because we know how that ends. Also, Oiler Forever (like the name by the way) you cannot honestly want the Titans to get Peyton. I will be honest if it happened I’d cheer right with him and we would get our boy back in TN, but Manning is the new Favre. He is coming off 4 neck surgeries and I don’t think he has any more Super Bowl runs left. I think it would hurt the team in the long run. It’s a quick fix-long term issue solution. He shouldn’t do it because the Oliers/Titans always underachieve, but at least the franchise is showing some guts and desire to win by going after him. I give them credit for that. Give Locker the opportunity, he is young and they need to look ahead to the future.